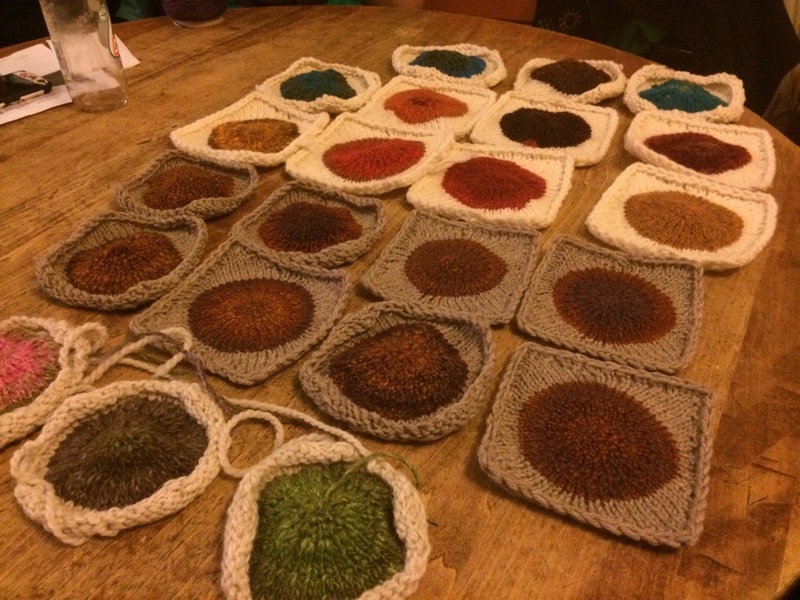 At knit night this evening, the three of us working on POP happened to have brought it to work in, so I was able to get a photo of our first seven days on the project! The lighting is bad, but I think you can see that the squares are beautiful! They are going to be three very different but pretty blankets! 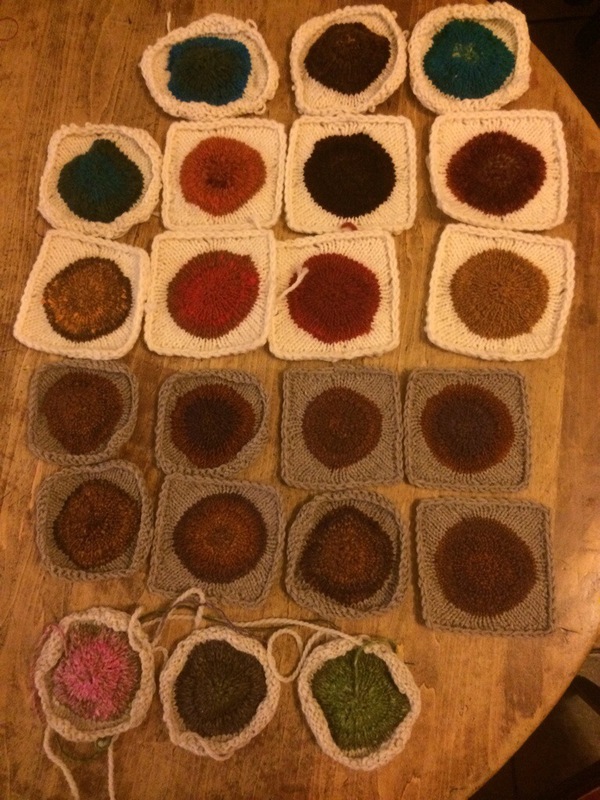 I’m really glad that I’m doing this as a KAL! I don’t think I’d have the stamina for this project on my own! It’s neat how a border color changes the look and feel of a blanket.